Enamel erosion is a common condition that can cause irreversible damage to the teeth. There are many causes of tooth enamel loss, and by identifying them, you can take steps to avoid these issues. Acid erosion is one of the leading causes of enamel loss. Excessive consumption of acidic foods like soda and fruit juice is very harmful to the teeth. These beverages contain high levels of citric and phosphoric acid, which erodes away at the enamel over time. After you eat a snack or a meal, the bacteria in your mouth will feast on sugars. If you eat starchy or sweet foods, there will be plenty of sugars on which bacteria will gorge themselves. This process creates other acids that will destroy the enamel. As the acids caused by bacteria wear through the enamel, cavities and tooth decay may also result. If you suffer from chronic gastrointestinal problems like acid reflux, you may experience enamel loss. A reflux of acid from the stomach into the mouth will allow these acids to contact the teeth. The tooth enamel will wear away, resulting in erosion of the tooth. If you have poor oral health habits, you may experience damage to the enamel. This includes failure to brush and floss regularly, which can lead to gradual tooth decay. Chewing on hard items like ice or pens can also lead to enamel damage. Sadly, once the enamel is lost, it is lost for good. The body does not regenerate enamel, so you need to take care of your existing enamel to avoid future problems. 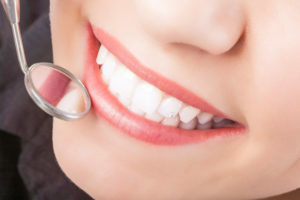 Regular dental evaluations give us the chance to inspect the health of your teeth, including the enamel. Call us today to set up your next appointment, and let us evaluate your mouth for signs of enamel loss. When you come in and see us for a cleaning, we also perform an exam. This means that we look at each tooth individually, and we also look at x-rays regularly to look for the signs of any type of problem. The earlier a problem is spotted, the easier it is to treat. So, what happens if we notice the signs of a problem when we do that exam? The truth is, it depends on the problem we spot. When looking at your teeth, there are many signs of problems we could spot. Do we see signs of acid erosion? If so, then we will talk with you about your diet and brushing habits. We may also suggest things like sealing some of your teeth to help prevent problems from acid. If we spot the earliest signs of bruxism, then we will likely just talk with you about what we see and how to prevent the problem from getting worse. If the signs quickly develop into something more serious, we will then figure out the best treatment options for you, including an oral appliance or even helping you to manage your stress. When the early signs point to a cavity, we will usually clean the area out and fill it. If the problem is small, we can sometimes fix it at the same time as your appointment. If not, we will schedule a time for you to come back in the next few days to fill it in. Some problems need immediate attention, while others need for us to keep an eye on them to see if they get worse. We will always make sure you know what is going on, but we may have to wait to see if a problem gets worse or stays where it is before deciding on if it needs treatment. A lot of people think that spit is gross. And it is–to a point. However, saliva is very valuable to your oral health. We know, spit and saliva are the same thing, but the saliva in your mouth is important. In fact, the saliva in your mouth is very important –not just to your oral health, but also to your overall health. Want to know how saliva helps you stay healthy? Keep reading to find out the importance of saliva to your overall health. The saliva in your mouth helps to soften it and break it down, which makes it easier to swallow. Saliva also makes it easier for your system to absorb the minerals it needs to keep your body moving. However, most important for your oral health is the function of the saliva in keeping bacteria down by helping to rinse away particles of food. It is when food particles settle on your teeth that bacteria can grow. When bacteria grow, the acids present with the bacteria eat at the enamel of your teeth, and over time, wears your teeth enamel down into holes. Those holes are what are called cavities. When you don’t make enough saliva, your oral health suffers. 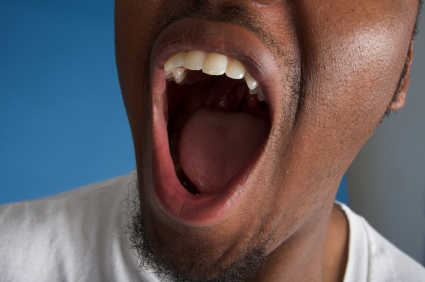 Dry mouth means that it is difficult for your mouth to produce saliva. Without enough saliva, plaque forms. Plaque can cause cavities. Dry mouth can cause anything from bad breath to cavities. And cavities can lead to infections in your mouth. Research has shown that mouth infections may cause heart disease, increase your risk for stroke and complicate pre-existing conditions, such as diabetes. If you are worried that you suffer from dry mouth, why not have a conversation with us? We would love to talk to you about ways that you can keep your saliva flowing to help your mouth be at its best. Chances are that you have been told since you were a young child that too much sugar is bad for your teeth. But why is that the case? And is there anything that can be done to keep your teeth healthy, even if you eat a lot of sugar? Your mouth is filled with bacteria. Some of them are good, and others are bad. The problem with sugar is that it will feed the bad bacteria that is already in your mouth. That will then start to attack the enamel on your teeth. Over time, that can lead to cavities and other problems. Too much sugar can also hurt your gums, which could lead to sores. While too much sugar of any type is not good for your teeth, sticky candies are especially bad. These will coat your teeth and stay in your mouth for a long time. Treats such as lollipops will also do the same thing. A lollipop is usually kept in the mouth for an extended period of time, giving the sugar and bacteria a chance to do their thing. That does not mean that you cannot have sugar if you want to have a healthy mouth. You need to just have everything in moderation. After you eat a sticky treat, rinse out your mouth or brush your teeth. If that is not possible, chewing sugarless gum can help. If you consume a lot of sugar, the last thing that you want to do is to skip a dental appointment. We will want to keep an eye of your teeth and gums and make sure that the sugar is not damaging anything. It is also important for children to see us regularly. 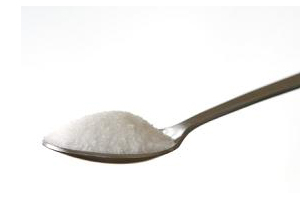 Sugar is a part of most childhoods, and with proper dental care that does not need to change. Many people list a root canal as one of the worst things they can go through, even though the procedure can be relatively quick and painless because we use local anesthesia. While we always try to take care of the infection carefully and we consider a root canal a routine procedure, there are times the procedure fails. A root canal is necessary when there is an infection in the inner layers of the tooth, usually the pulp, where the nerve center is located. This area is where the tooth gets all the nutrients it needs from the rest of the body. It is essential to understand that root canal failure can happen years after the original procedure and sometimes it is hard to identify where the discomfort stems from. Here are some signs of a failed root canal. * Pain. 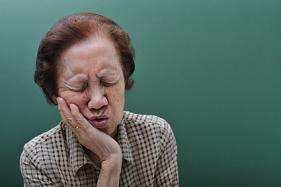 The most common symptom of a root canal failure is pain. Once the problem has been solved by a root canal, you should start to feel better shortly after the procedure is completed. If you experience increased pain or if the pain goes away and then returns days later, you could have a failed root canal. * Swelling. Any swelling that takes place a few days after the procedure is a problem, and we need to see you immediately because it can be a sign of an infection. In general, there is little swelling following a root canal. * Tenderness. If you feel tenderness when biting down on the affected area days after your root canal, it can mean an infection. * Discharge. Anytime you have an unexplained discharge from a tooth that’s accompanied by pain, it could mean you have a tooth abscess, which can potentially be life-threatening if not treated promptly. 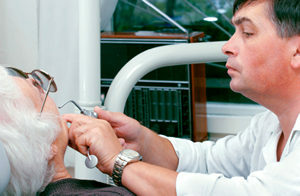 Whenever you have pain in one of your teeth, you should call us as soon as possible. If you have an infected root canal, you may need to be re-treated.